In 2010, CUP and students from Roosevelt Island’s The Child School, along with artist Juliette Spertus, investigated Roosevelt Island’s pneumatic trash collection system to learn how the garbage from the island’s buildings gets whisked away beneath their feet. 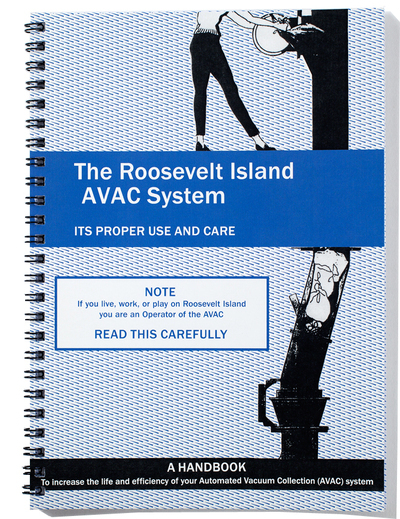 They produced this users’ guide to the “atuomated vacuum collection” (AVAC) system for the islands’ residents. The guide is packed with colorful drawings and useful information on the dos and don’ts of maintaining the system. Get your copy today!